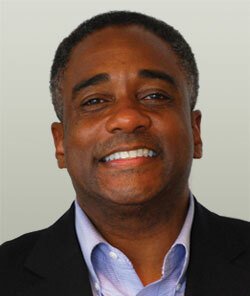 Thomas Daniel is a co-founder of K|D|A Brookwood and the Managing Principal of Daniel Management Services LLC. He also is a principal of Brookwood's affiliate, Ridge Capital Investors, LLC. Thomas is an experienced development manager who brings 28 years of experience managing pre-construction, construction and post-occupancy phases of office, industrial, residential, mixed-use and infrastructure projects totaling approximately 2.9 million square feet. From 2007 to 2009 Thomas was Director of Development Services for Broadreach Development, a subsidiary of Broadreach Capital Partners. From 2001 to 2005, Thomas served as Regional Director of Construction for Spieker Properties / Equity Office Properties in Northern California. In this capacity, he was responsible for coordinating and overseeing the management team that led the day-to-day construction duties for a portfolio consisting of 20 million square feet, and an annual improvement budget of $40 million. Prior to 2001, he worked in several positions that led to the role of project manager for the general contractors L.E. Wentz Company and Turner Construction. From 2005 to 2009 while with Wilson Meany Sullivan, Thomas (with, Arup) was responsible for the management and coordination of all city approvals, budgets, scheduling and consultants for the infrastructure for the 85-acre Bay Meadows Phase II master plan in San Mateo. The Site Development submittal included the design information for site grading and erosion control, street-right-of-way improvements including storm drainage, utilities, sanitary sewer, site lighting, and other infrastructure required to support the vertical development; as well as the Tentative Mapping for the proposed subdivision boundaries and acreage, easements, street right-of ways, and other necessary project defining information. The effort included approvals with all the major utilities companies and government agencies including PG&E, Cal Water, the Sanitary District and Army Corps of Engineering just to name a few.